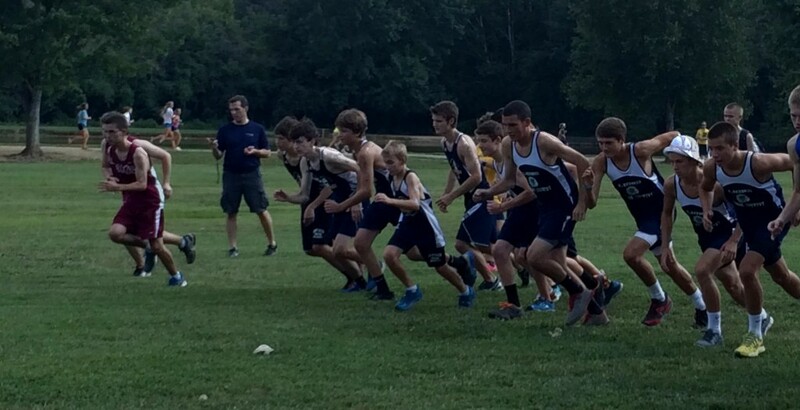 The SCS Cross Country team placed third in the SPAA Conference Tournament behind Carmel Christian and the champions, Woodlawn. Sean Perry, Ryan Farmer, and Cam Neuwirth finished 6th, 7th, and 8th respectively and Alex Schopps finished 19th for the Lions. An excellent showing for these young men who play soccer full time as well. SCS will compete in the State Cross Country Meet on Friday October 24, 2014 Jackson Park Hendersonville , NC at 10:00 AM.